Bumble is taking over Aspen — and you're invited! Whether you're hitting the slopes or in town for a relaxing winter getaway, we've got something you're bound to dig. So take a look at the following, and start saving what's good to your busy calendar. After shredding down the mountains followed by a night of partying, you're likely in desperate need of some R&R. 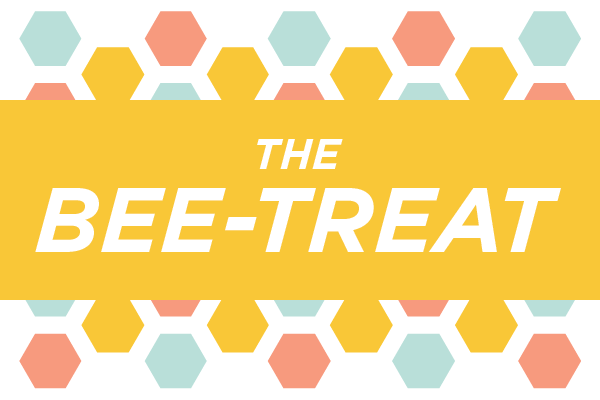 Join us on Monday, January 1st from 12-6pm at Shlomo's for Bumble The Bee-Treat. Recharge with a chair massage, boost your energy at our oxygen bar, and kick back at the bloody Mary and mimosa station. Spend the afternoon sipping signature cocktails, snapping photos at the photo booth, and shimmying along to the our DJ's set. First things first. You'll spot our Bumble-branded shuttles hitting the streets starting Saturday December, 23rd running through Wednesday, January 3rd. Enjoy drinks and mingle with the Aspen Winter Bumbleland team. Starting Saturday, December 23rd, enjoy drinks on us at Aspen's hottest restaurants and bars! Come grab a drink with us (and enter for a chance to win ski lift passes at select locations!) starting Saturday, December 23rd at Hooch from 8-10pm and on Wednesday, December 27th at The Living Room at Hotel Jerome from 5:30-7pm. We'll have Bumble swag for those that show their Bumble profile, share a Bumble success story, or download the app for the first time! Bumble is also partnering with Outdoor Voices to bring you a host of events centered around health and wellness at their OV Aspen store location. Spots are limited, so be sure to check out OV's Facebook Page to RSVP!